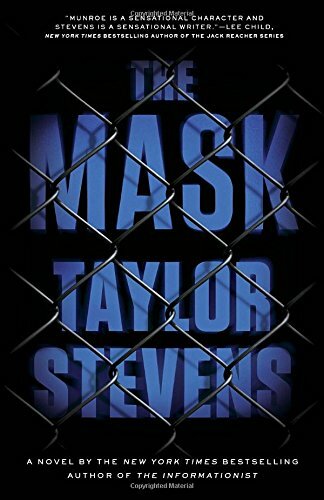 The Mask by Taylor Stevens is the subject of Kerry Hammond's latest book review. This is the fifth book in the Vanessa Michael Munroe series. 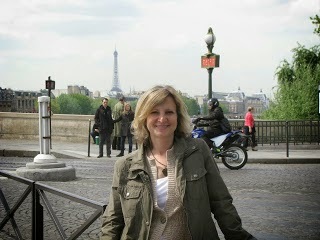 Taylor Stevens is the author of five novels in the Vanessa Michael Munroe series. The Mask, her 5th in this series, was released in Trade Paperback on March 29, 2016, by Broadway Books (the Hardcover was originally published by Crown Publishing on June 30, 2015). This book made my list because I was extremely intrigued by the description of a strong female character, and my armchair wanderlust made me want to visit Japan, where the book is set. Vanessa Michael Munroe is described on the book jacket as a “chameleon and dangerous information hunter.” This is a very apt description, but there is so much more. Munroe arrives in Japan at the opening of the book; she is there to visit her lover Miles Bradford. Bradford has a security job working for a Japanese company and Munroe intends to use the time to unwind after her latest venture. Bradford is very tight-lipped about his job and Munroe starts to feel pushed out of his life. When he is arrested for murdering one of the company’s employees, Munroe is the only person who can help. The trouble is that Munroe quickly learns just how much Bradford has lied to her. But if she does nothing the man she loves will be convicted of a murder she knows he didn’t commit. The Mask gripped me from the very beginning and held my attention the whole way through. The action is well paced and well placed. Munroe is a strong character with a tragic past that has shaped her in such a way that she has to work very hard to control herself in certain situations, especially when her survival instincts rival that of a jungle animal. She is a female Jack Reacher but with a horrible beginning. I felt that there was a backstory that I wanted to know, but didn’t need to know to enjoy the book. The Mask stood independently from the pack, and functioned as a standalone, but I definitely want to go back to find out more about how the characters got to this stage in the game. Munroe is an enigmatic character that you definitely want in your corner. This book was provided to Mystery Playground by Blogging for Books. The review is fair and independent.